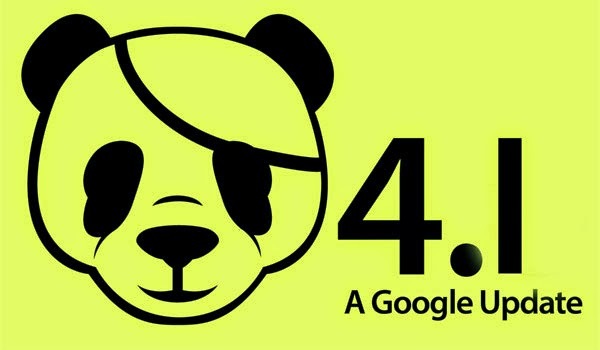 Google Panda update 4.1 has started rolling out and will be completed by the next week. This news was released by Pierre Far, Webmaster Trends Analyst at Google UK. This panda update will benefit small to medium sized business as more signals of devaluing low quality content even from reputed business domains have been included in this update. This will provide a chance for small and medium sized business domains having high quality content to rank higher. Panda update have long known to promote high quality content and demote low quality or thin content. This update is also known by the name Farmer update because on its initial launch in Feb. 2011 it targeted a lot of content farms that created low quality or thin content pages that were targeted around keywords to rank on Google. The Panda 4.1 update is the 27th update of Google so far. It is assumed that around 3-5% will be affected based on location. Let's see how much the result quality is improved with this update. Please let me know in your comments below if you witness any major changes on your site traffic. Panda Affected Sites and How to Fix the Issue? Positive Comments in Content- A Ranking Factor?